So, in preparation for the "launch" of the new website, I am planning an event. Along with 3 other local vintage mavens, I will be selling my wares at the East Side Club in Madison on Sunday, September 12th. Hopefully the weather will be nice, and we can sip cocktails at the tiki bar as the sun sets over the lake! 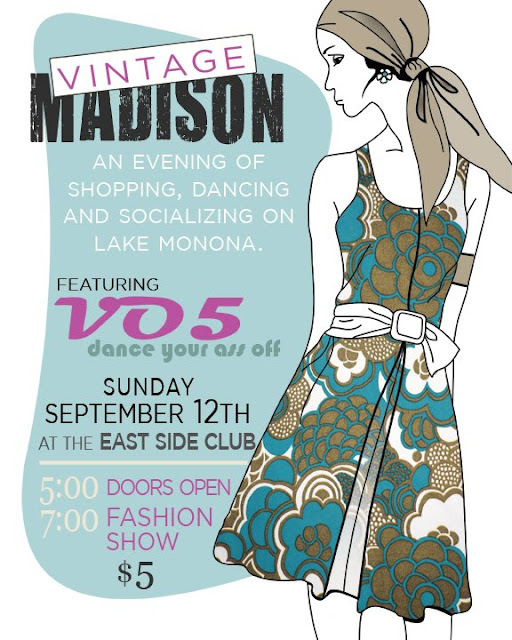 Also we are putting together a fabulous Vintage Fashion Show, and funky disco band V05 will be playing. . .So put on your platform dance shoes and get down! More info available on facebook. New Items on the New Site! !